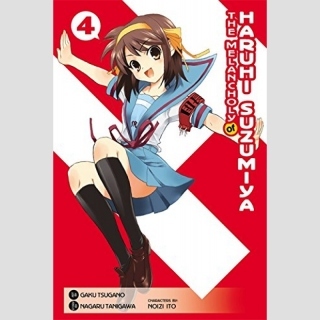 When the SOS Brigade receives an urgent message that the Computer Research Societys president has gone missing, Haruhi confidently promises to locate him, and the SOS Brigade is off! Of course, they have no idea where to start... Is the new SOS Brigade insignia that Haruhi designed to blame for all of this? Anne Happy: Unhappy Go Lucky! Kono Suba: God's Blessing on This Wonderful World! No Game No Life Please! So I'm a Spider so What?